To be honest, this looks less like real moment, than the April poll by WMUR showing Clinton ahead by 19% being a fairly clear outlier and now rolling off the polling average. 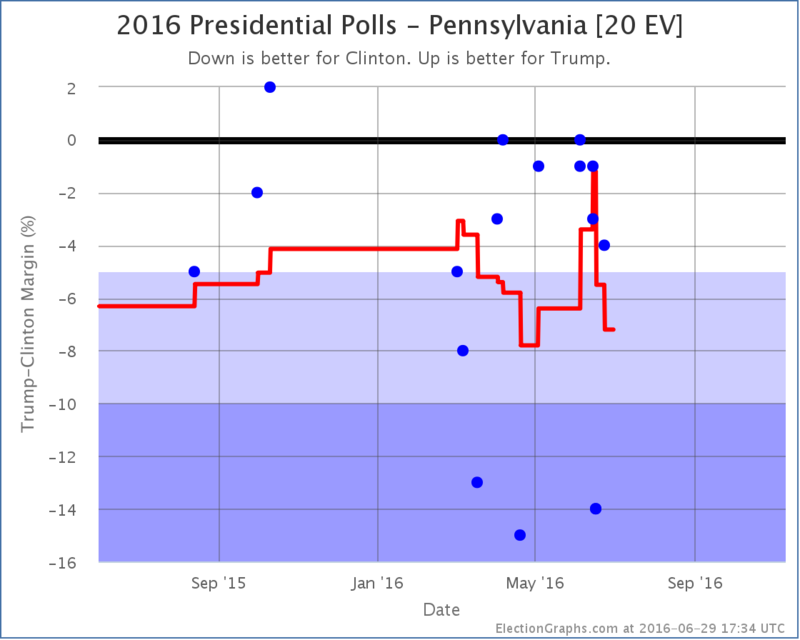 With that poll gone, the average moves to a 3.2% Clinton lead. 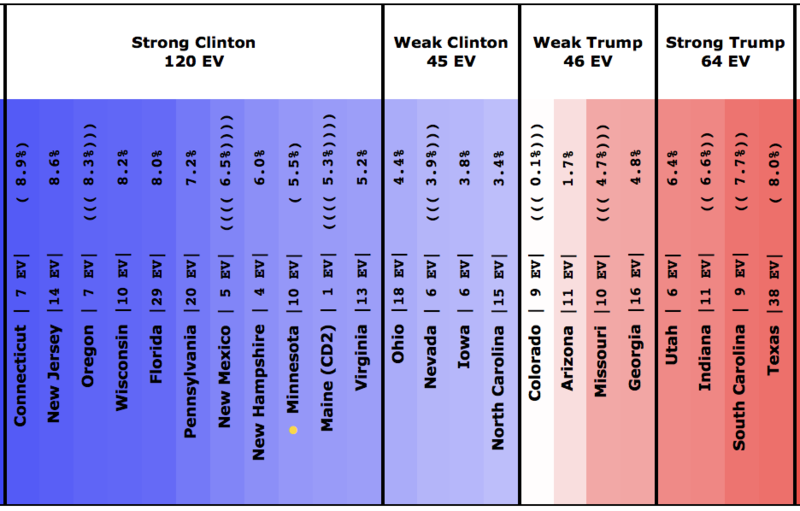 Without the outlier poll New Hampshire would have still been in the “Strong Clinton” category earlier this year. The presence of the outlier delayed the move to “Weak Clinton”, but New Hampshire is there now. There has yet to be a poll showing Trump actually ahead in New Hampshire, but there are plenty showing that it is close. 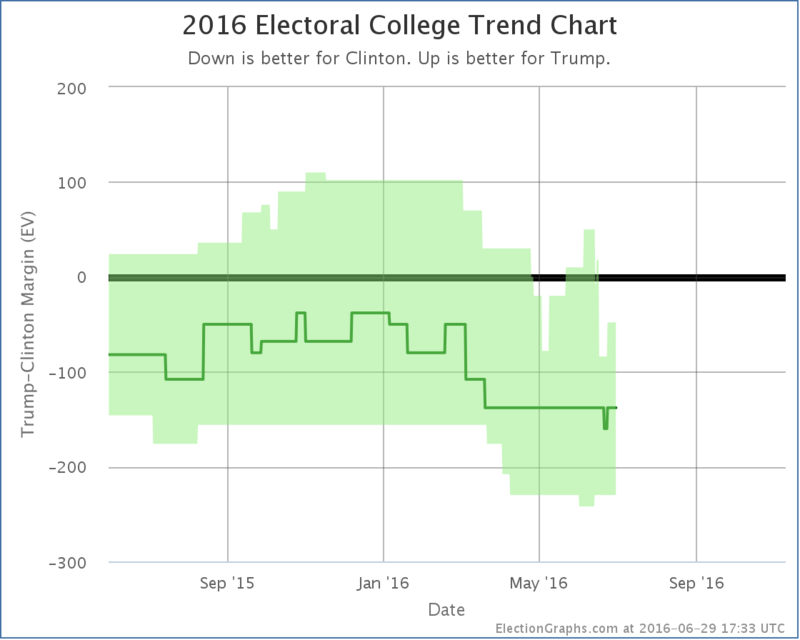 So it is now considered as a possible Trump pick up, which improves Trump’s “best case”. See the little bump at the top of the very right hand side of the “bubble”? That’s new Hampshire. 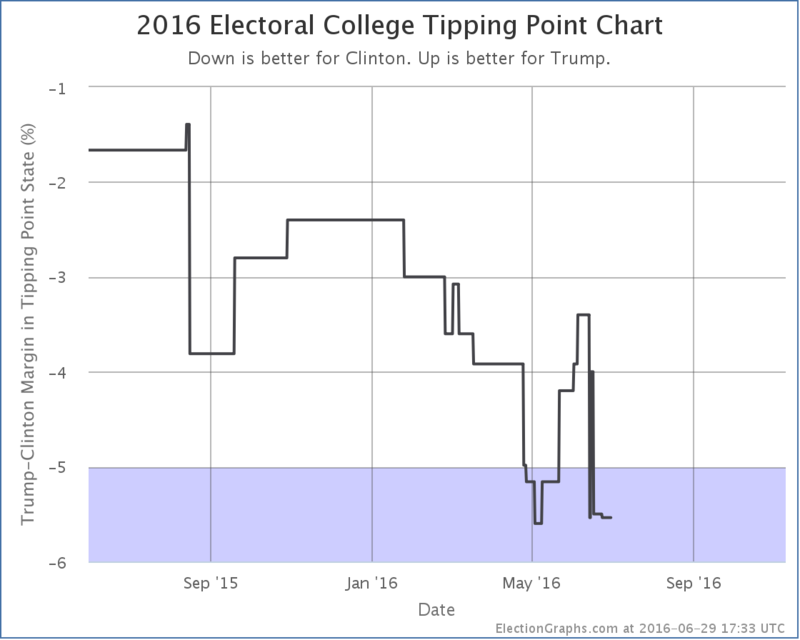 Trump’s best case improves from losing by 48 electoral votes to only losing by 40 electoral votes. 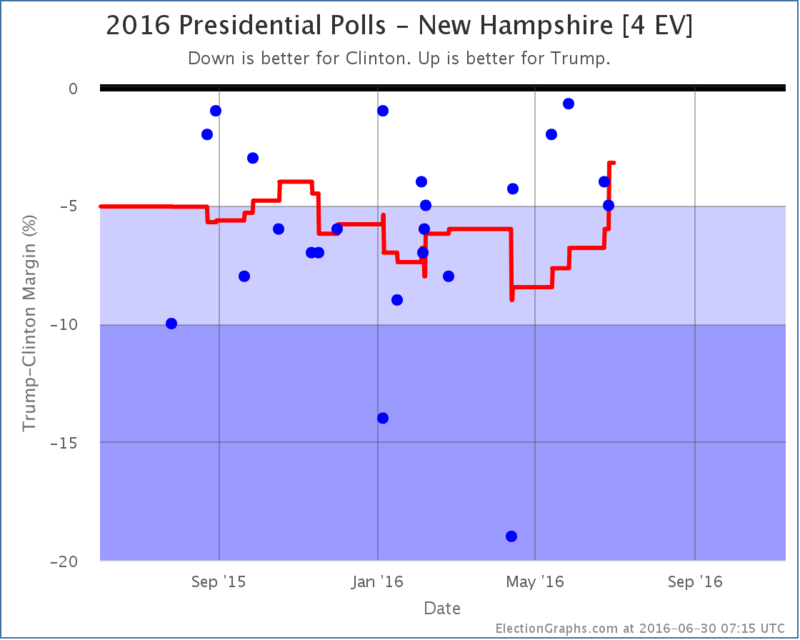 New Hampshire aside, for the moment Trump remains pretty far behind. He has said that the “real campaign” won’t begin until after the convention. We’ll see soon enough. 17.9 days until the Republican Convention, 24.9 days until the Democratic Convention, 131.2 days until polls start to close on Election Day 2016. 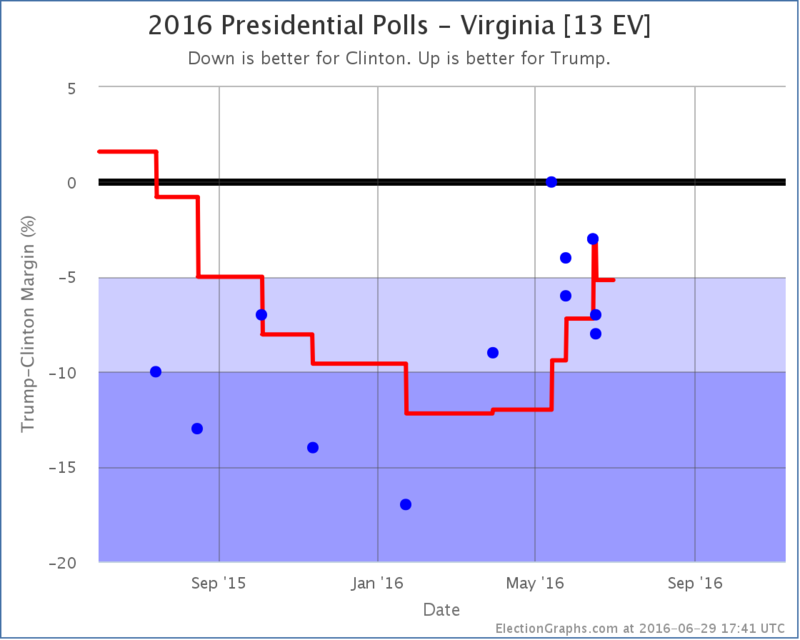 18:31:34 Lots of new polls! There will be a blog post later since there were notable changes. In the mean time see @ElecCollPolls for poll details. 18:28:24 That’s all for this round. 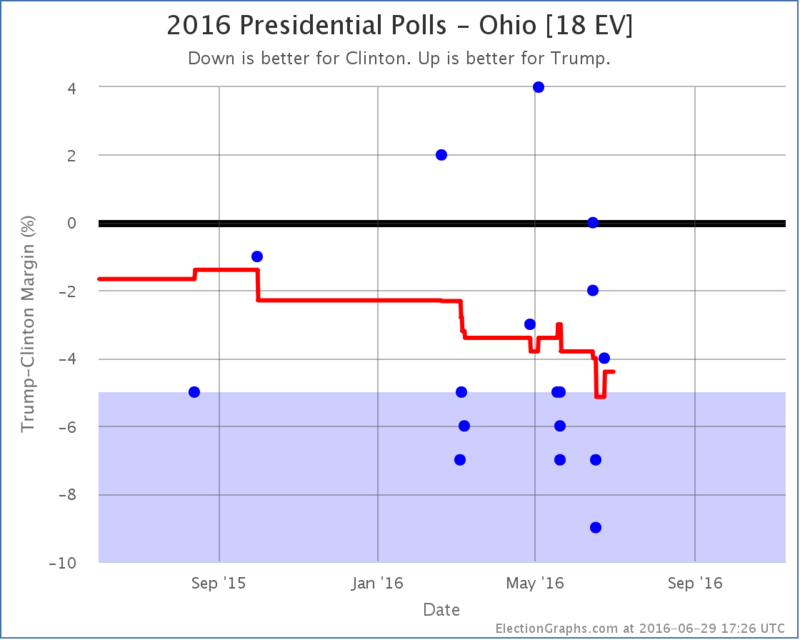 New polls added in FL/IA/MI/NC/OH/PA/VA. 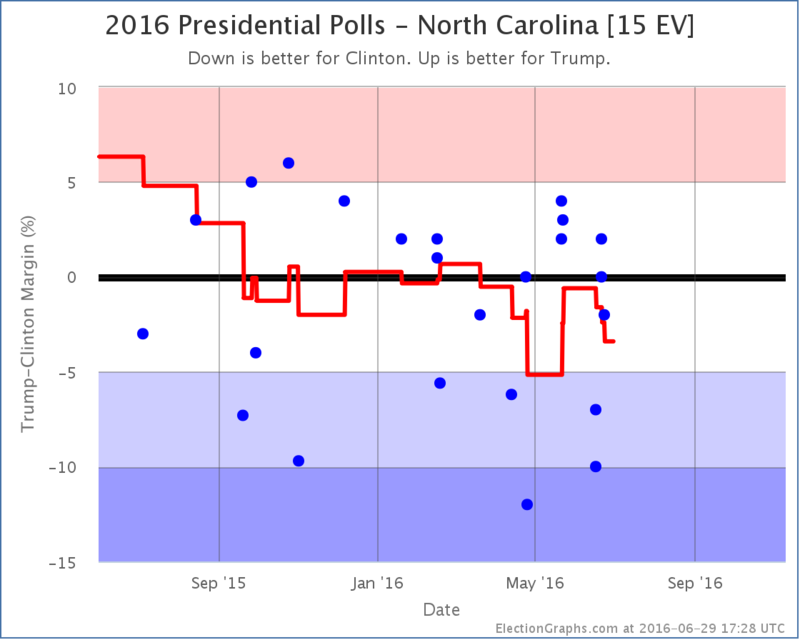 Several significant changes, so blog post @ElectionGraphs later. 03:08:48 Retweeted @AmyNotAmy 01:55:50 Tbh I think I'm just tired of most Bernie supporters. 18:32:03 Retweeted @ElectionGraphs 18:31:34 Lots of new polls! There will be a blog post later since there were notable changes. In the mean time see @ElecCollPolls for poll details. 07:55:46 That’s all the polls to add for today. We had TX/AZ/IA/NH/OH/PA/WI. 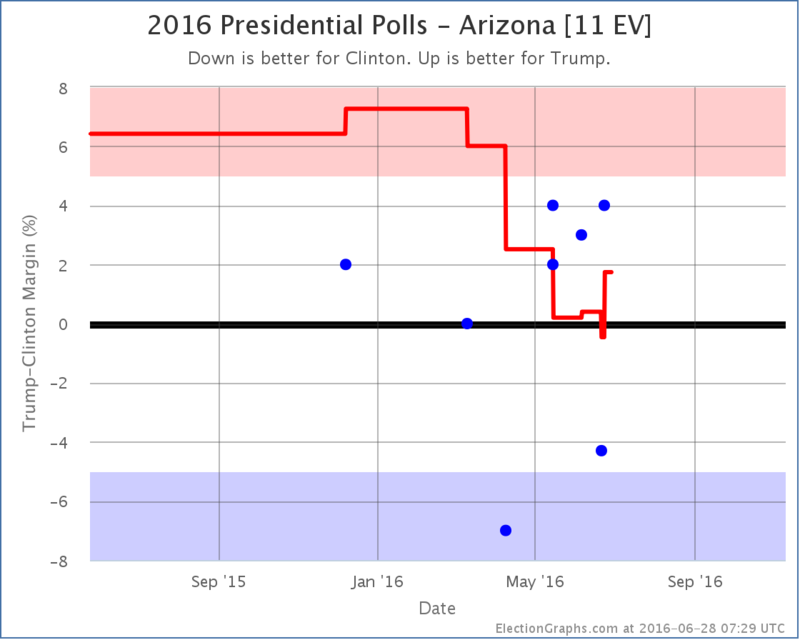 There was a notable change in AZ, so @ElectionGraphs blog post later. 16:16:35 Retweeted @Nigel_Farage 09:56:08 Just spoke in the European Parliament, they were pleased to see me as you can tell. 18:57:59 Retweeted @DavidMDrucker 18:16:50 Notable about Trump's prepared remarks: He doesn't at all blame "big govt" or "taxes" for economic problems. Presents govt as the answer.